I'm not following a paleo or grain free diet, but I LOVE experimenting with different flours and recipes. 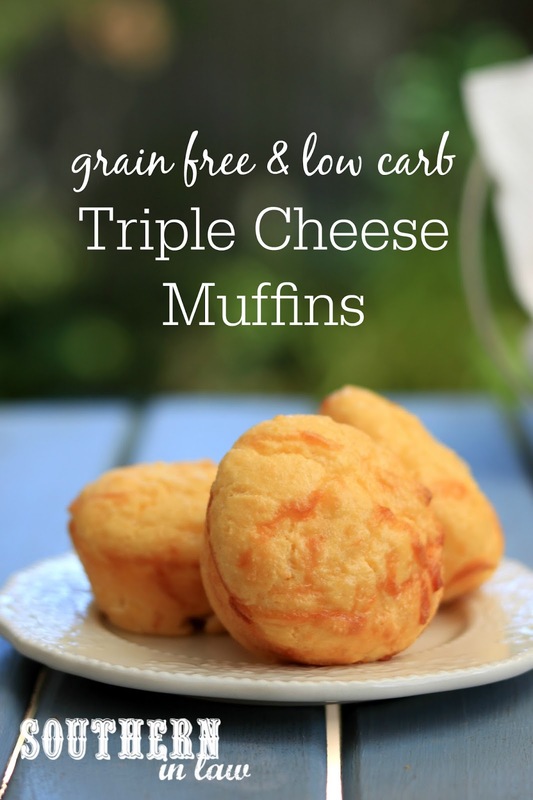 This savoury muffin recipe came from a recent paleo muffin obsession - only, when I came to making a new batch of muffins, I decided I didn't want sweet muffins. I wanted something savoury. Sooooo, I did what any sane person would do. I busted out ALLLLL the cheeses and got to creating something delicious. The end result? 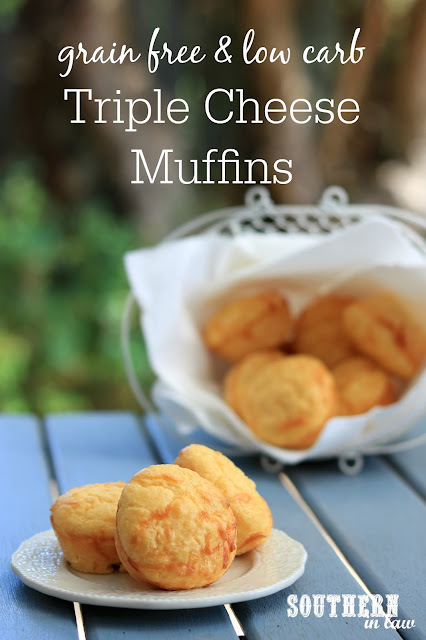 A light, fluffy, cheesy muffin recipe that is the perfect base for creating whatever your heart desires. Add in some ham or sautéed bacon for extra flavour, load it up with veggies or herbs and garlic or enjoy it as is. Simply, easy and so delicious! Optional: add in some chopped ham or sautéed bacon for extra flavour or add fresh herbs (basil, parsley and oregano are our fave) and garlic. In a mixing bowl, add your cheeses and eggs and mix until combined. Stir in your coconut flour, almond meal, baking powder and salt, mixing until everything is incorporated. Bake your muffins for 20-30 minutes or until lightly golden and cooked through. Allow to cool slightly before removing muffins from their tins. Enjoy warm, room temperature or chilled. These muffins will keep in the fridge in an airtight container for 2-3 days. We usually take them out of the fridge and reheat them as we prefer them warm! *You could use mozzarella, but I find cheddar cheese/tasty cheese or a mix of half cheddar and half mozzarella has more flavour. 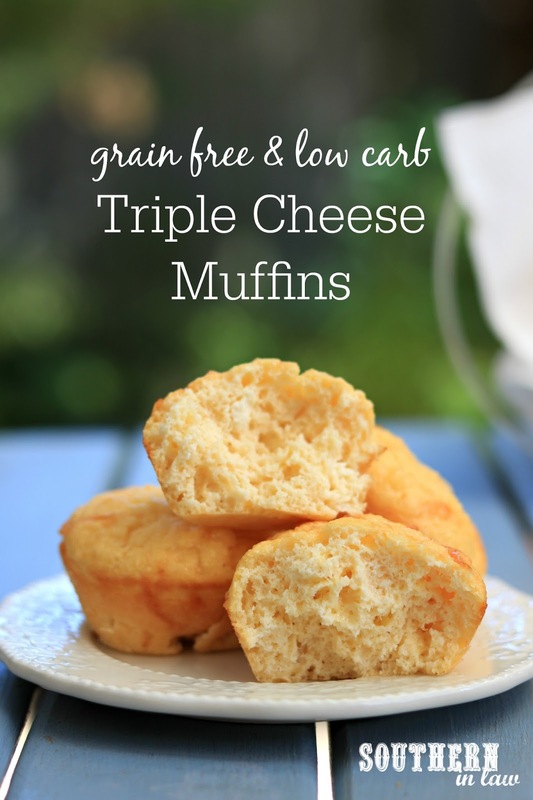 Are you a fan of paleo/grain free recipes? And what would you add to these muffins? Or serve them with? We've been enjoying them on their own as a snack (warmed up!) or as a delicious side with soup!